Heralded as a "talented classical guitarist" by the Times of Trenton, Middlebury College Affiliate Artist Eric Despard performs a dynamic solo concert programs including selections from over five hundred years of music. Despard will perform Spanish and Latin American guitar favorites, including pieces by Piazzolla, Lauro, Barrios, Villa-Lobos, Tarrega, and Albeniz. Join Dayve and special guests for a concert of original music mixed with a wide range of cover material by many artists. Free. A special and unique performance of works for flute including " Vermont Counterpoint" by Steve Reich, and "Poem" by Charles Griffes . Images of paintings from the Hudson River Valley School will be projected simultaneously by the Middlebury College Art Department. Free. 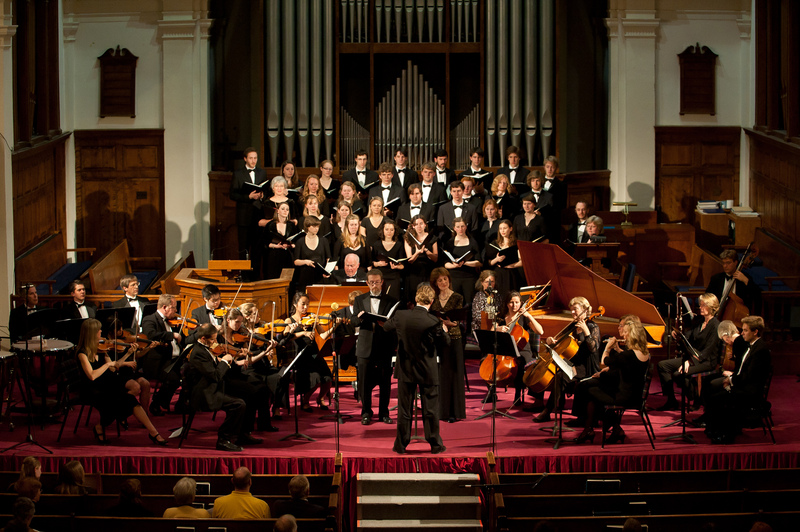 Andrew Massey conducts the Middlebury College Orchestra in a light-hearted costume concert featuring Saint-Saens’ Danse Macabre, Chopin’s Funeral March, 2001 and other spooktakular works. Audience members in costume particularly welcome.Free. 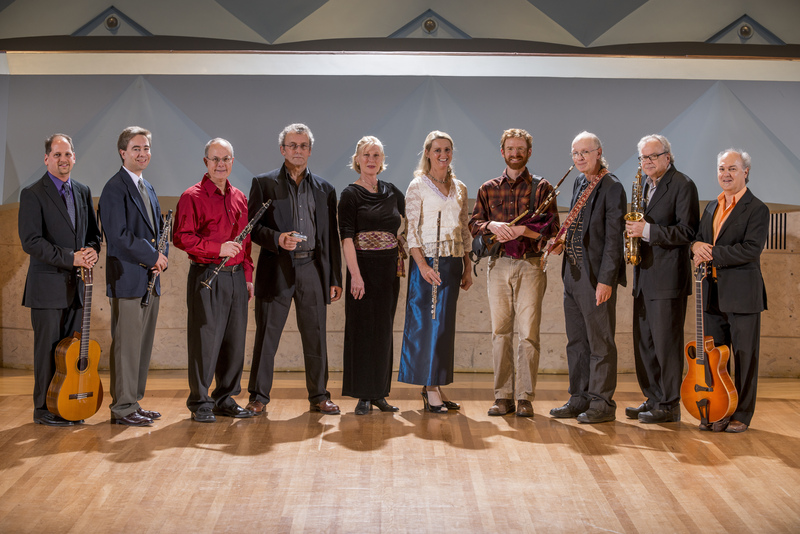 Members of the Music Department’s Affiliate Artist faculty present an eclectic concert featuring genres from blues to classical, jazz to bluegrass, rock to bagpipes. 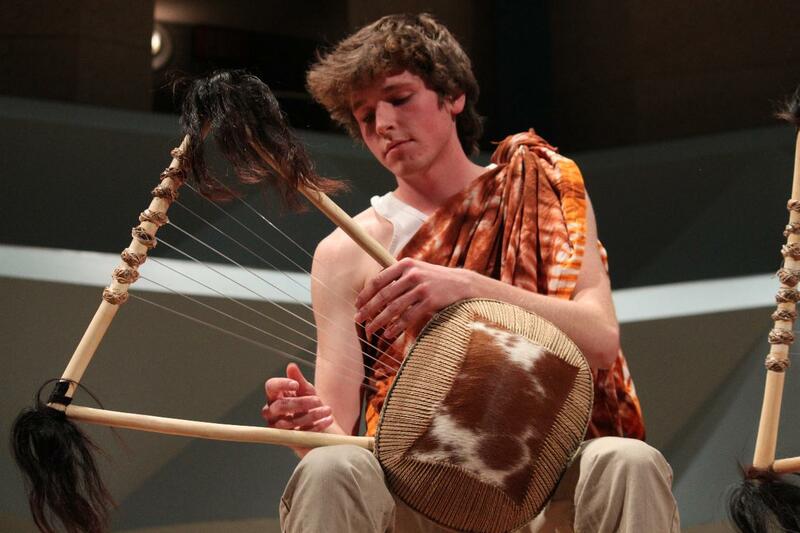 The ensemble presents an end-of-semester concert featuring a wide range of East African instrumental, vocal, and dance repertoire. 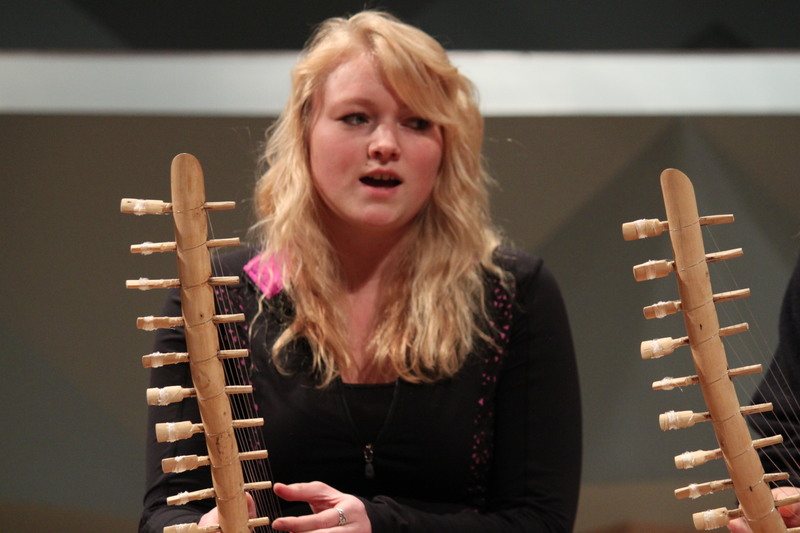 Ensemble members perform on East African drums, fiddles, harps, lyres, lamellaphones, shakers, and xylophones. Sponsored by the Department of Music. FREE. 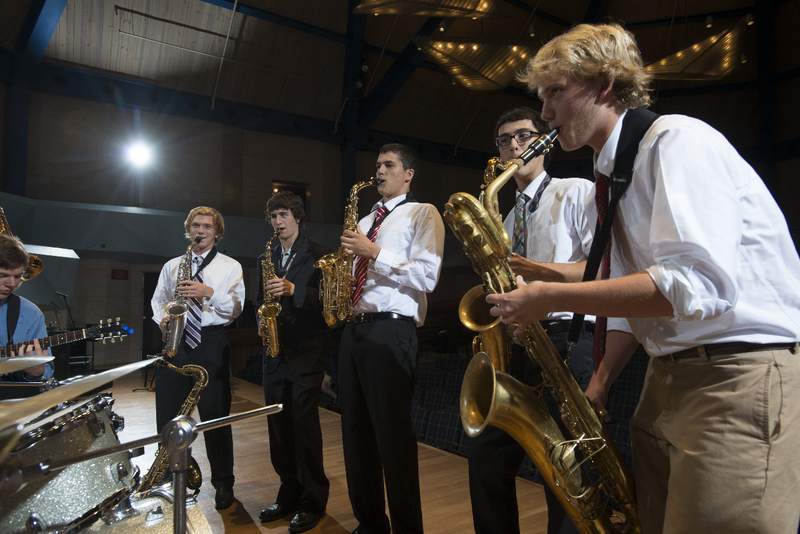 Middlebury’s Sound Investment Jazz Ensemble celebrates the wisdom that “it don’t mean a thing if it ain’t got that swing,” with a program of contemporary jazz compositions and some of the best music of the big band era. Sponsored by the Department of Music. FREE. Students of Carol Christensen, Susanne Peck, and Beth Thompson cap off a semester of vocal study with an evening of songs and arias. Sponsored by the Department of Music. Free. 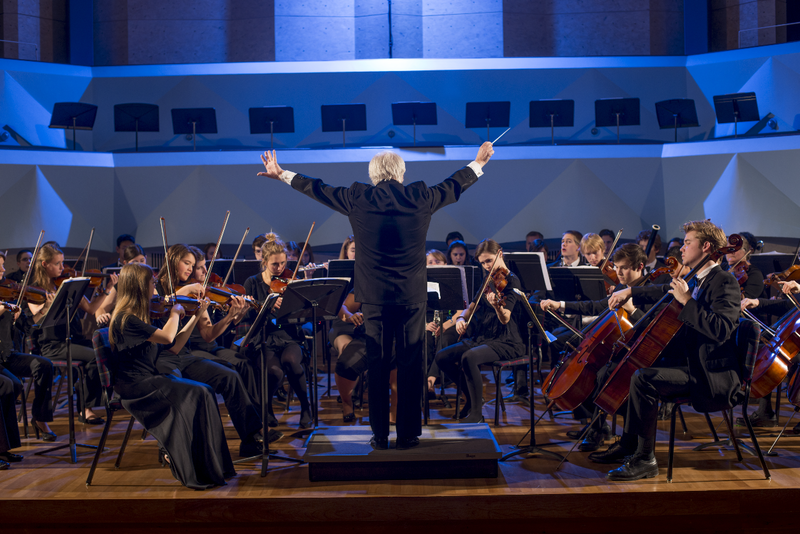 For the 5th annual J-term Beethoven, the Middlebury College Orchestra presents Beethoven’s 3rd Symphony - the Eroica. Andrew Massey conducts this grandest of all symphonies, and offers charts and a few words about how the piece is put together. 3:00 pm, Mahaney Center for the Arts, Concert Hall. Free. A select group of students from the Department of Music present a variety of songs, duets, and arias, ranging from the baroque era to the present. Free. The orchestra’s major spring performance, featuring the winner of this year’s Alan and Joyce Beucher Concerto Soloist Competition. Andrew Massey conducts the winning performance, as well as other works for orchestra. Taking up the baton from François O'Clemmons, affiliate artist Timothy Cummings shares music from Ireland and Scotland on a variety of pipes and whistles. Several guest artists, including Pete Sutherland (fiddle, guitar, banjo) and Dominique Dodge (harp, vocals), join him in celebrating the rich heritage from 'across the pond'. Sponsored by the Department of Music. Free. The 75-voice chorus and 40-piece orchestra comprising community musicians join together for a special concert, one of a number of statewide concerts and educational programs celebrating poetry and music, coordinated by CPO director Paul Gambill. 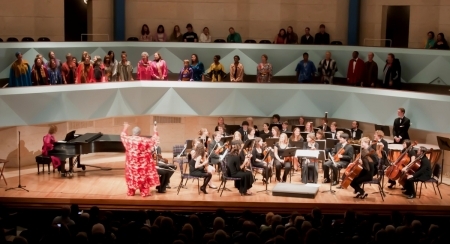 This program includes a variety of works scored for orchestra and chorus, including a new orchestration of Reflections of the Sky originally written for the College's Bicentennial by Peter Hamlin '73, Christian A. Johnson Professor of Music, which includes texts by Langston Hughes and Middlebury faculty Julia Alvarez, Robert Pack, and Jay Parini. $15/$5 at the door. ?????? The College’s big band swings into spring with a concert that’s sure to set toes tapping and fingers snapping. There may just be dancing in the aisles. Sponsored by the Department of Music. Free. Concerts by Diana Fanning's piano students have become a much-anticipated tradition, well attended by members of the College community and townspeople. Join us for an evening of beautiful piano music. Sponsored by the Department of Music. Free. Music department student vocalists present a lively sampling of musical theatre, from opera to Broadway. Free. 8:00 pm, Concert Hall, Mahaney Center for the Arts. Violin Master class with Viktoria Grigoreva, Russian violinist.